The main sanitary block is situated between the principal building (with reception and bar) and the camping pitches near the river. The block is fully equipped with separate showers, sinks with hot and cold water, private cabins with washbasin, electric sockets and of course toilets. All free of charge. 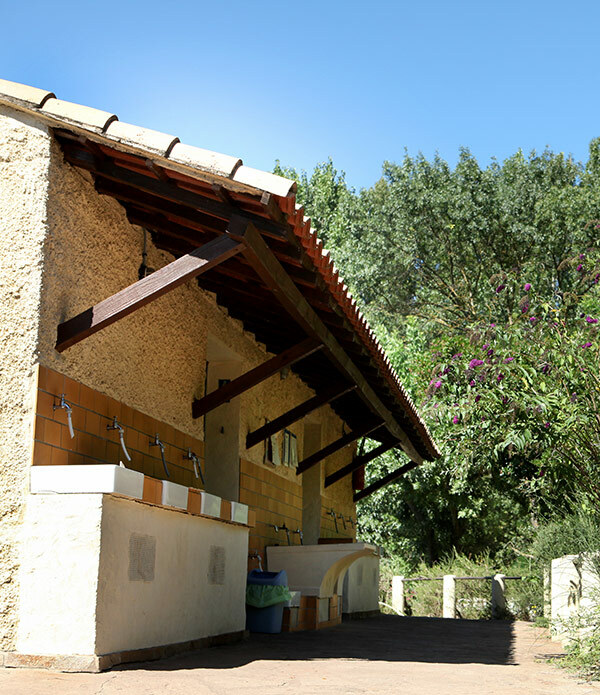 The facilities for the disabled are in a separate building, situated in the lower area of the camping. You will find water taps spread across the campsite. The tap water is off the highest standard. The sanitary block and swimming pool are cleaned every day, early in the morning.